The Pittsburgh Post Gazette tells me that temperatures may reach the upper 80’s today. I am sipping coffee and pondering the fact that in this first week of May I haven’t seriously approached my garden yet this year, other than to grab handfuls of garlic greens and chase my child through the miniature field of flowery arugula- but I am considering pulling out our tiny plastic swimming pool later this afternoon. Maybe I will sort through seeds and make it to the nursery today, and maybe not. I regularly peruse the latest issue of Martha Stewart at our local library and sigh over the clarity and organization of her monthly calendar, but my own time management is and has always been scattershot and lacking in focus. I do, however, make time for the important things- like ice cream, and time travel. Luckily for me, both are available right around the corner and down the street at Klavon’s Ice Cream Parlor in the Strip District. 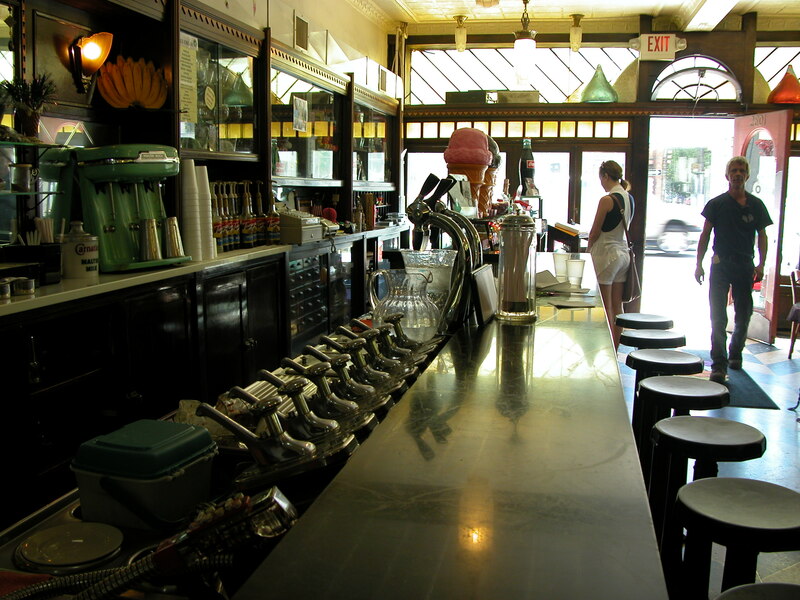 Klavon’s is a real 1920’s style ice cream parlor and soda shop, complete with a long marble counter, Art Deco Decor, and amazing malts, sundaes and shakes made with vintage equipment. 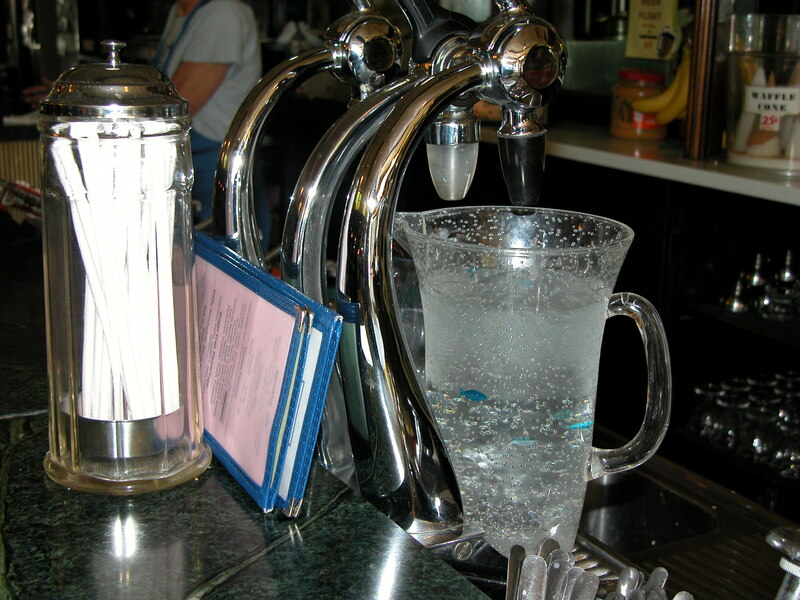 Here is the soda, ready and waiting. 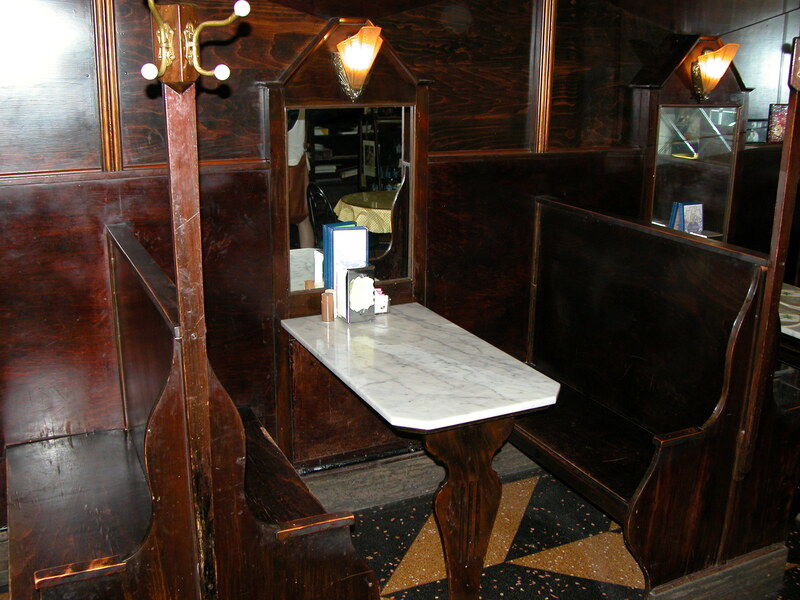 There are high stools at the counter, tables, and tiny wooden booths to slide into. 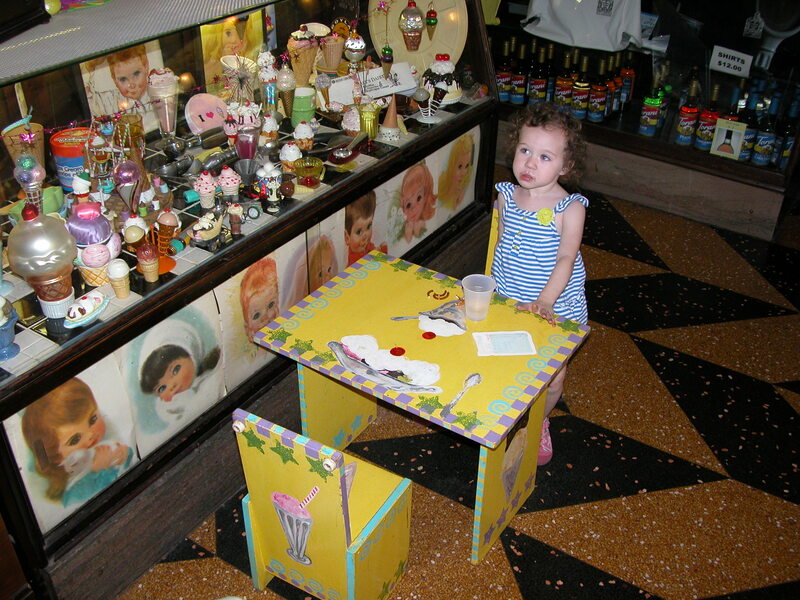 And there is a tiny table near a case full of vintage toys, which captured the imagination of my wild toddler for a surprisingly long time. 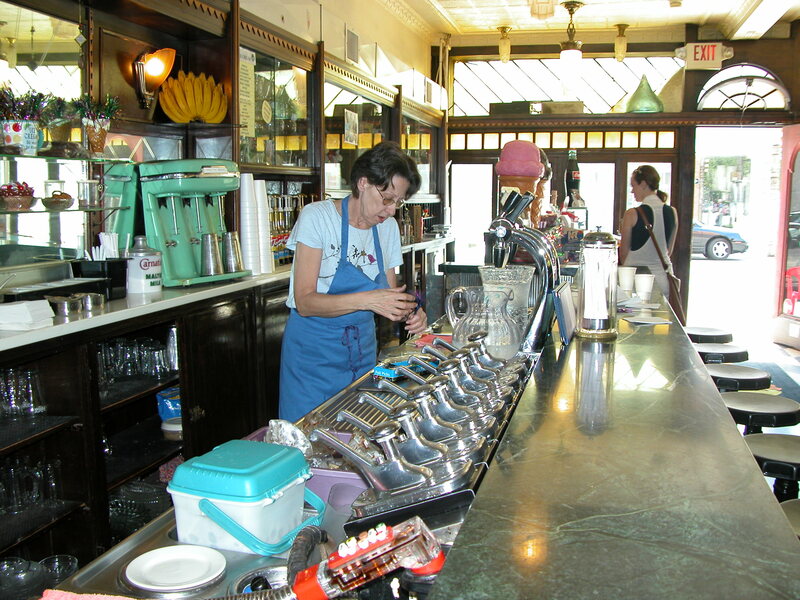 Of course, she was already pretty happy with her ice cream sundae, complimentary pretzels, and the cold water provided by the friendly, knowledgeable, and kind woman behind the counter. She informed us that there are three flavors of homemade fresh whipped cream, and let us try them all. That alone won the heart of this Wisconsin girl. I’m glad we stopped for ice cream, and time travel, on a hot late April day. I recommend both to all of you would be gardeners and spring dreamers out there, as well as the Marathoners pouring into town for the Pittsburgh Marathon this weekend. In this strange and hazy heat of early spring, steal some time from the lazy days of summer and take time for ice cream. This entry was posted in Kate and tagged Garden, Photography, Pittsburgh, Vintage on May 3, 2012 by sweetridgesisters. What a treasure of a place. 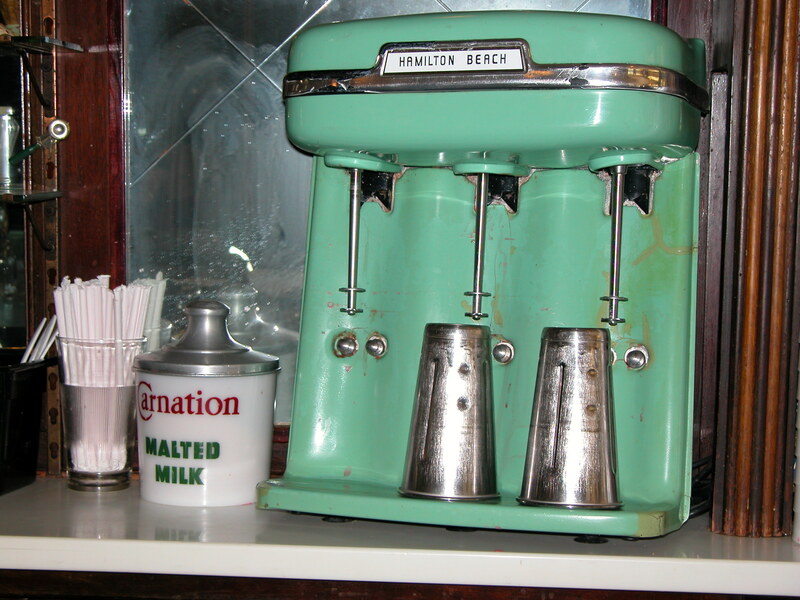 I’d love to order up an ice cream treat in this type of vintage atmosphere. Three flavors of homemade fresh whipped cream???? Okay, my heart has been won over as well. My daughter attended the University of Wisconsin, LaCrosse, so, yes, I’ve been to The Pearl. I’d forgotten all about that treasure of a place.